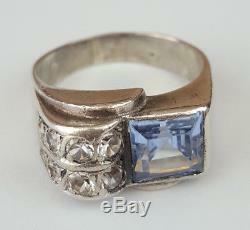 800/1000 sterling silver ring with a bluish main stone and 8 translucent stones (to be identified). 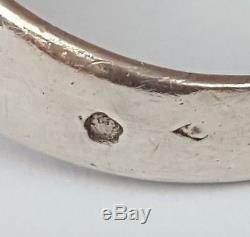 Crab punch of solid silver (80% silver) and punch of goldsmith. Traces or scratches of use (see photos). 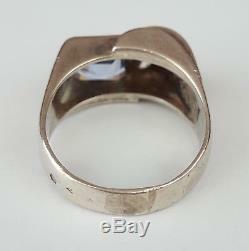 Inside diameter: 17.8 mm (size 56, us 7.5 / 8, uk o / p). 14 days money back guarantee. 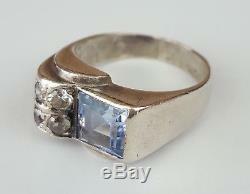 Remember to look at our other rings for sale. Do not forget to add us as your favorite seller! The item "old solid silver ring 800 size 56 antique sterling silver ring silber" is on sale since Friday, September 14, 2018. 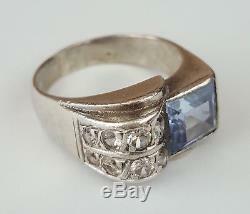 It is in the category "jewelery, watches \ jewelry \ rings \ precious stone". The seller is "joubia" and is located in / in versailles. This item can be delivered anywhere in the world.